Cuker Receives “Best Architecture Website” WebAward, Again! 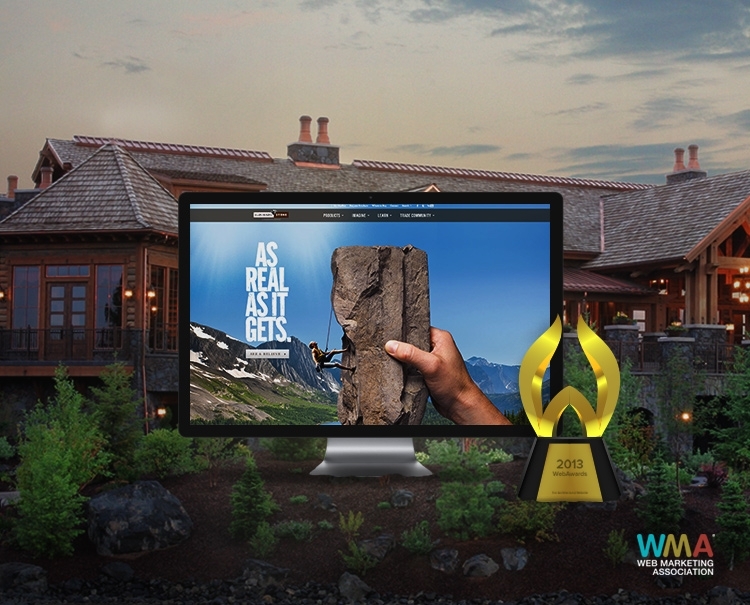 Last year, Cuker took home the same award for Eldorado’s brochure website, EldoradoStone.com. Our design and development teams built an innovative website that propelled their brand to the forefront of a market that largely underutilizes the power of the web. EldoradoStone.com offers an immersive and engaging user experience, combining stunning product imagery with interactive tools to help today’s web savvy consumers research stonework and find design inspiration for their home renovation. Published on September 12, 2013 .